Marie Cabrera, Sonya Gonzalez and Christine Duran, all of San Bernardino, pray after a mass shooting at the Inland Regional Center on Wednesday in San Bernardino, Calif.
Two women embrace at a community center where family members have been gathering to pick up survivors after the shooting rampage at a social services center in San Bernardino, Calif.
At least 14 people were killed and more than a dozen others wounded when up to three suspects armed with long guns entered a facility in San Bernardino, Calif., and began shooting, authorities said Wednesday. Hours after the shooting, which began at 11 a.m. local time, TV images showed a bullet-riddled, dark colored SUV hemmed in by police tactical vehicles and surrounded by officers in what appeared to be a residential neighborhood. San Bernardino Police Sargent Vicki Cervantes says that police officers traded fire during what she described as an "active situation." "I believe there may be a suspect down," she said, but she warned that she did not know if that situation was connected to the earlier shootings. 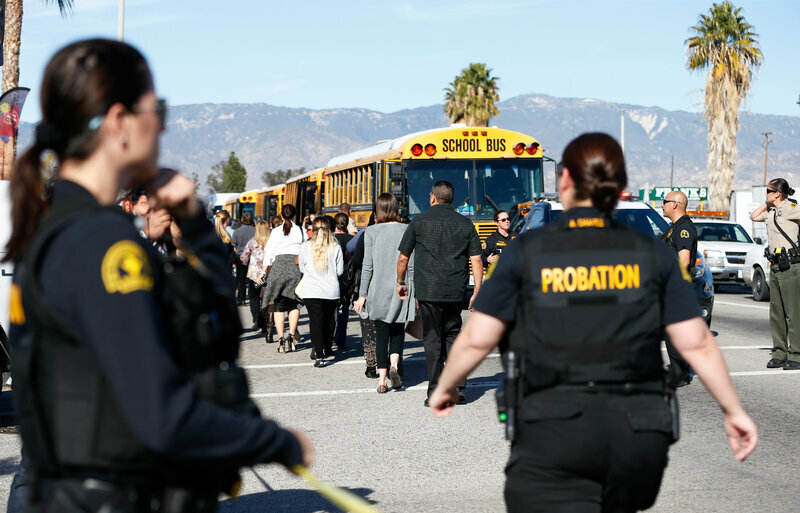 At an earlier press conference, San Bernardino Police Chief Jarrod Burguan said the suspects opened fire at the Inland Regional Center, which is part of the California Department of Developmental Services and serves people with developmental disabilities. Asked about the number of suspects, the police chief said, "I have repeatedly been told the number is three," though he cautioned that the information was coming from witnesses at the scene. Burguan said the attackers fled in what was potentially a dark SUV. He did not provide a description of the suspects or discuss a possible motive. "These are people that came prepared," the chief said. "They were dressed and equipped in a way to indicate that they were prepared and they were armed with long guns not handguns." 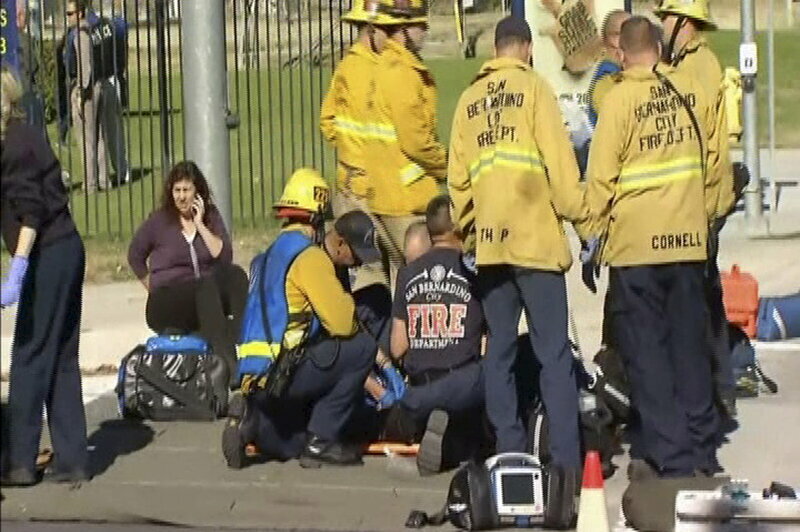 The assistant director of the FBI&apos;s Los Angeles field office, David Bowdich, said at the news conference, "Is this a terrorist incident? We do not know." 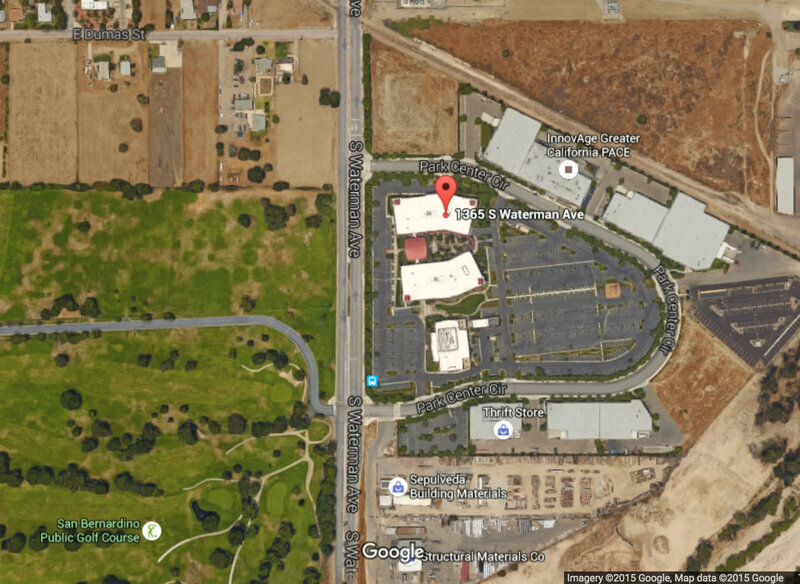 The San Bernardino County Sheriff&apos;s Department posted on its Twitter account that there is an "active shooter in the area of Orange Show Rd/ Waterman Ave near Park center." Roads near the scene have been shut down and the department was warning people to avoid the area. Burguan also said that several hundred people who were in the building were taken to a safe location and that buildings in the surrounding area had been locked down. Roads near the scene have been shut down and the San Bernardino County Sheriff&apos;s Department was warning people to avoid the area. Terry Petit, said his daughter works at the Inland Regional Center and that she said she was inside when the sound of gunfire erupted. A White House official said that President Obama was briefed by his homeland security adviser on the San Bernardino shooting. "We don&apos;t yet know what the motives of the shooters are, but what we do know is there are steps we can take to make Americans safer and that we should come together in a bipartisan basis at every level of government to make these rare as opposed to normal," Obama told CBS News Wednesday. "We should never think that this is something that just happens in the ordinary course of events, because it doesn&apos;t happen with the same frequency in other countries."